Cute little 2-4 ounce "gems" are so tasty. 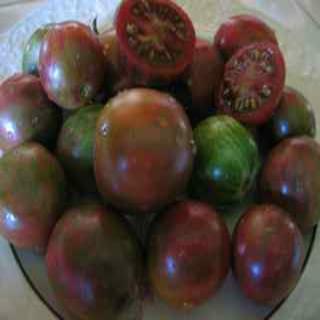 These seeds produce tomatoes colored dark rose pink with iridescently olive green and purple streaks. Heirloom Seed Packet. Cute little 2-4 ounce "gems" are so tasty. Dark rose pink with iridescently olive green and purple streaks. They are great for snacking out of the garden or for pretty additions to the Summer salad bowl.